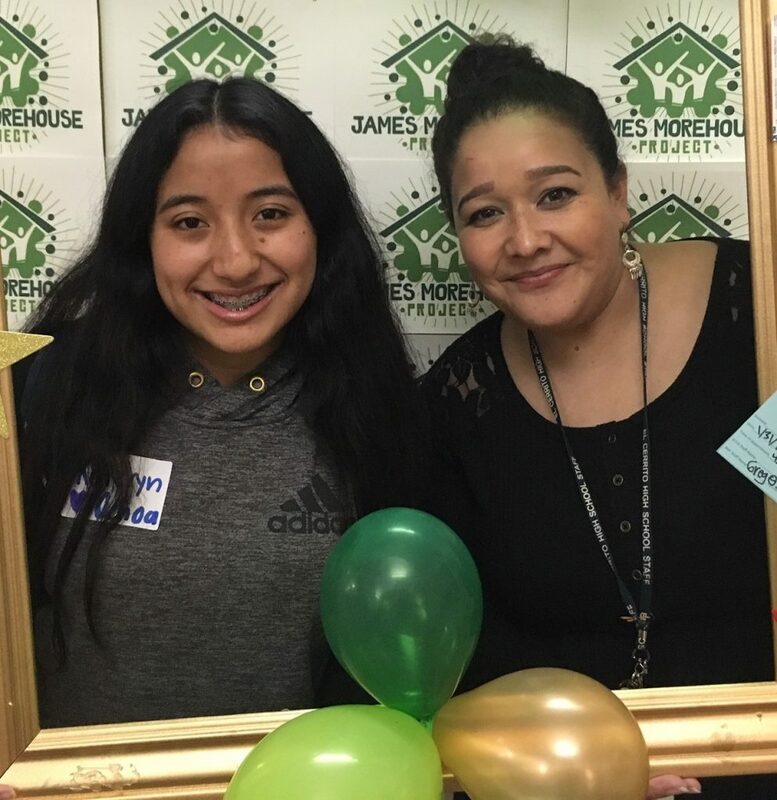 If you’ve tuned into a West Contra Costa Unified school board meeting within the last year, visited the RYSE Center in Richmond, or attended a James Morehouse Project (JMP) event, you’ve likely met Kateryn Ochoa. Between her service as a student trustee, canvassing to encourage young people to register to vote, representing her school on the district’s Local Control Accountability Plan (LCAP) committee, and finishing her senior year at El Cerrito High School (ECHS), Kateryn is an inspiring leader among her peers. As Kateryn prepares to cross the stage this June, we invited her to reflect on her academic journey. Her powerful story revealed some key themes that helped her on the road to graduation, as well as what was missing to enable her to reclassify. Research has long held that a network of authentic adult relationships is a key lever to increasing student achievement. Indeed, Kateryn’s list of adult influencers represents a cross section of the broader West Contra Costa ecosystem and offers diverse perspectives that have meaningfully informed her path. She often credits Ms. Yvette Soto of Korematsu Middle School with providing a pivotal “push” in writing and reading that ultimately accelerated her English Language Development (ELD) growth. Kateryn is authentically seen and engaged by the many adults in her world. Her connections with community leaders have created a platform for her voice to be heard, and motivated her to champion her individual needs, as well as those of other English Learners (ELs) in the district. When Kateryn’s not in class, she’s likely finding another avenue to advocate for increased supports for ELs in West Contra Costa. Four years ago, she became a founding member of a student-led English Language Advisory Committee (ELAC) housed at ECHS. This ELAC serves as an affinity group for the community of ELs at ECHS. Affinity groups create a safe space for students to push and grow. Put students in charge. Arriving with an adult agenda will not serve students’ needs. Go beyond celebration. An affinity group should not be simply an “identity pride” space. Ensure that your group translates conversation around identity-related issues into action that helps mitigate those issues at your school. Focus on empowerment or allyship. Effective affinity groups serve the needs of marginalized students—those outside the dominant culture—to undermine systemic inequities. When Kateryn entered ECHS as a freshman, she was a Level 5 EL– the last level before reclassification. Because ECHS does not offer an ELD 5 class, Kateryn’s progress plateaued. Four years later, and she will leave high school with a diploma in hand, and a barrier to college eligibility and readiness. We must rethink how we serve our long-term ELs. Fortunately, we can look to other California districts to model a path forward. In LAUSD, a pair of new classes were designed specifically for long-term ELs at the middle and high school levels. Additionally, the district trained more than 1,200 teachers on how to recognize, have empathy for, and teach, long-term ELs. Can WCCUSD be a leader in redesigning curriculum and course structure for students beyond five years of EL status? Can we harness personalized student data and ELD expertise to change the statewide trend? We hope that the commitments made in the adopted EL Resolution will drive the change our students and families deserve. For more information and tips on reclassification, refer to pages 14-15 of our West Contra Costa Kids Can Report. To request the report in hard copy format, please visit bit.ly/KidsCanReport.